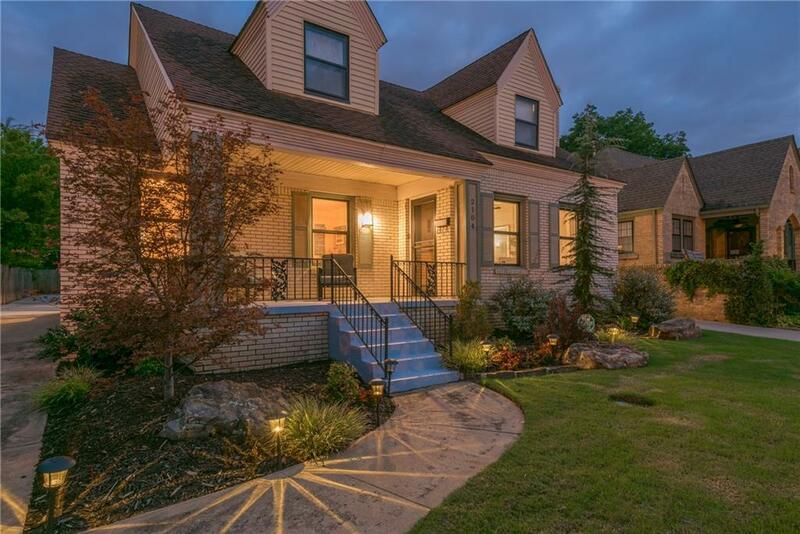 Beautifully remodeled home in the Historic Shepherd District. A rare 4 bedroom find with oversized two car garage and tons of parking! No more leaving your car on the street. This home has beautiful original hardwood floors and 5' baseboards. All lighting has been updated, and most are energy efficient LED lighting. The main house has 3 bedrooms and two full baths. Then you have an almost 400 sq foot garage apartment. Perfect for a college age child, extra room when the inlaws visit, or office for those who work from home. Having its own entrance makes it great for your taxes! It also features an open floorpan, hard to find in this age home. The Master Suite is the whole second floor! Plenty of room for a sitting area and a closet with more space and builtins that you can imagine. This is truly a one of a kind property, lovingly maintained that must be seen to be fully appreciated. Don't forget about the screened in sun porch on the back, not counted in square footage.